After over fifteen years of offering services to the adult population of the island wishing to further their education, St. Peter’s College was forced to close its doors on Thursday July 19th. In an interview with The San Pedro Sun, Mr. Jahmor Lopez, Manager of the Belize District Education Center confirmed the reason for closure by the Ministry as: ‘Failure to comply with the standards of the Ministry of Education as it pertains to the operations of a High School’. The institution, which was being run by Mr. Frank Nuñez, was officially inaugurated on Friday, 20th December, 1996. According to Mr. Lopez, suspicions were first raised in 2008 at a High School Graduation ceremony, attended by the Minister of Education, during which Principal Nuñez made mention of opportunities offered by St. Peter’s Junior College for continued education to the graduating students. At the time the ministry was unaware of any other registered tertiary level education provider than the San Pedro Junior College. This lead to an investigation into the school, which further lead to the discovery that St. Peter’s was not registered to offer tertiary level education, and was consequently ordered to cease such operations, as they had been operating illegally. Further investigations also resulted in the detection of additional irregularities into the running of the High School, which eventually lead to the closure of the school entirely. No evidence of the maintenance of proper student records. No evidence of improved financial accountability and transparency. The ownership of the school building facility is in dispute and the future permanent and stable location of the school cannot be established. No evidence that the Board of Management has been functioning or that they have been able to provide any effective oversight of the operations of the school. The letter pointed out the fact that the irregularities had been previously pointed out in a letter dated March 8, 2011 to Mr. Nuñez, after which the non-compliance continued. Under section 45 (3) of the Education and Training ACT, 2010, this is an offence for which the Manager or Managing authority is liable on summary conviction to a fine of $100.00 for each day on which he fails to comply with the order after which the Chief Education Officer with the approval of the Minister, may suspend or revoke the grant-in-aid or license to operate a school. According to Mr. Lopez there have been ongoing correspondence with the institution where specific instructions were given as to what needed to be done to keep the school operational, however all directives were unmet. With respect to the dispute over the ownership of the school building facility that the Ministry referred to, there are ongoing investigations into the property as its rightful ownership is yet to be determined. As to what happens to the students currently enrolled in the high school, Lopez informed the San Pedro Sun that the Ministry of Education is in the process of working with the San Pedro High School to see if together they can work on providing similar services where the students may continue their education. This however, is still in the works. 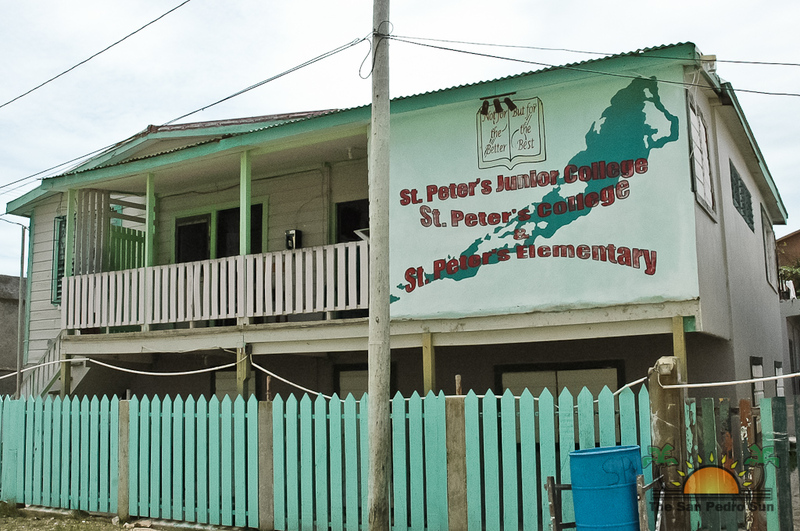 Lopez further pointed out that St. Peter’s has at no time applied for or had been granted a license to operate a Primary School. Technically, St. Peter’s Primary school has been operating illegally since its inception. The San Pedro Sun contacted Mr. Nuñez for a comment regarding the developments. He indicated he would so after a meeting with parents on Wednesday July 25th.